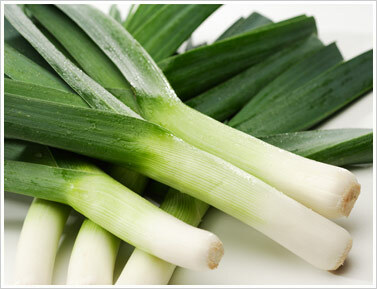 Leeks have been part of my diet ever since I can remember, as they are a part of European and Mediterranean cooking. It’s not as commonly used in the American kitchen which is the reason for this post. I would like to help you discover a new vegetable that is so good for you, readily available, inexpensive and delicious. We usually buy ours at the Farmers Market, but you can find beautiful leek in the grocery store as well. Leek is a great source of dietary fiber, they also contain excellent amounts of folic acid, calcium, potassium, and vitamin C. They are easier to digest than standard onions. 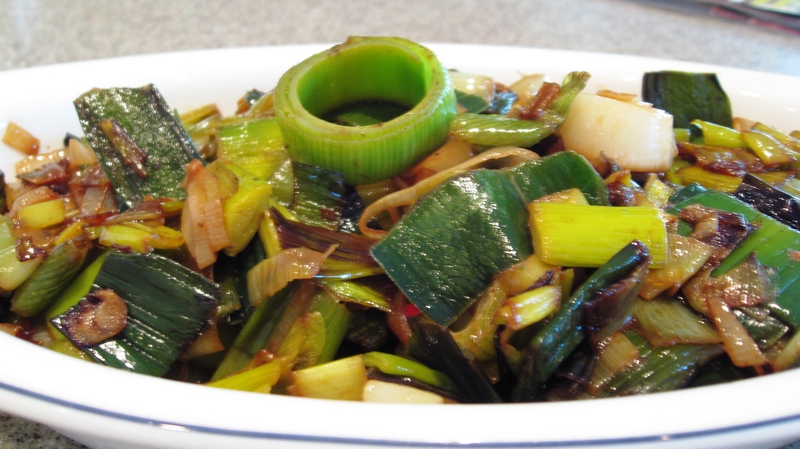 Leeks have laxative, antiseptic, diuretic, and anti-arthritic properties as well. High consumption of Allium veggies has been proven to reduce total cholesterol and LDL cholesterol levels, but increasing the good cholesterol, HDL levels. These veggies can help lower high blood pressure and contribute to reducing the risk for heart attack and stroke. There are many ways to cook leeks. A very popular dish in Austria is Leek Soup. I use it instead of onions or scallions in some of my dishes. Look for upcoming recipes on different ways to prepare leek. Trim off the root end and about 1/8 to 1/4 inch of the white base. Remove any ragged, coarse outer leaves. Trim the dark green back-end by about an inch or two. Option 1: Slice the leeks down the center and rinse under cold running water to remove all dirt and sand, being careful to get in between the leaves. Option 2: For cooking Leek whole, slice lengthwise about two inches up from each end, leaving a center portion intact so to hold the leek together. Rinse under running cold water while separating leaves. Option 3: Slice them into 1 inch lengths and soak in a bowl of cold water. Swish them in the water to remove dirt, drain, refill bowl, and swish again until no more dirt is released. Drain and dry. Heat coconut oil in non-stick wok, add green onions, Chef’s shake blend and Thai chili; cook until glossy. Then add washed and drained leeks and stir until glossy and light green. Serve and enjoy as a tasty side dish with just about any main course. Zach this one is for you! Tip: Leeks tend to have some dirt/earth toward the outer portion of the stalk, so I usually chop off and inch off the end and about an 1/8 inch off the roots. Then I slice them and wash them out in a strainer. 3 replies to Have you had a Leek lately? Leek is a magic secret ingredient – add it to almost any of your favourite savory dish and it tastes better! !